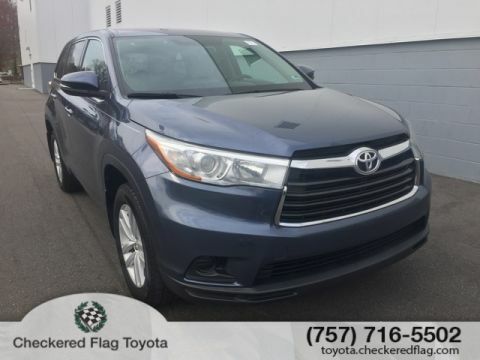 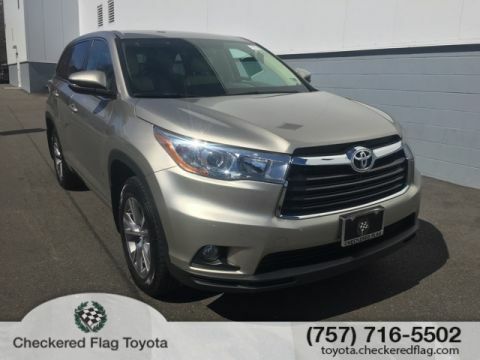 2013 Toyota Highlander SE In Blizzard Pearl, Available NOW at Checkered Flag Honda!, One Owner, Backup Camera, Bluetooth Connectivity, Leather Interior, AWD, ABS brakes, Alloy wheels, Compass, Electronic Stability Control, Heated door mirrors, Heated Front Bucket Seats, Heated front seats, Heated Outside Mirrors, Illuminated entry, Low tire pressure warning, Power Liftgate, Power moonroof, Power Tilt/Slide Moonroof, Remote keyless entry, Traction control. 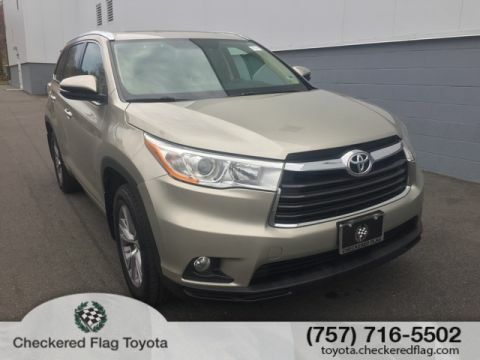 * 2013 IIHS Top Safety Pick * 2013 KBB.com Best Resale Value Awards * 2013 KBB.com Brand Image Awards Available NOW at Checkered Flag Honda! 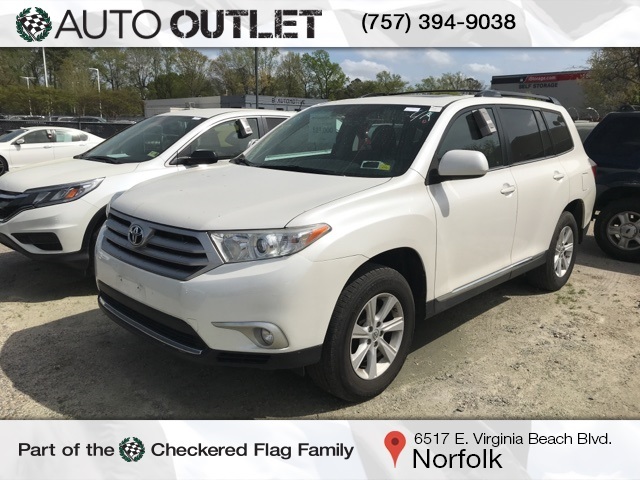 Proudly serving Virginia Beach, Norfolk, Chesapeake, Pungo, Bay Island, Hampton, Newport News, Suffolk, Smithfield, Carrollton, Windsor, Franklin, Salem, Princess Anne, Tabb, Rushmere, Rescue, Poquoson, Grafton, and all of greater Virginia.